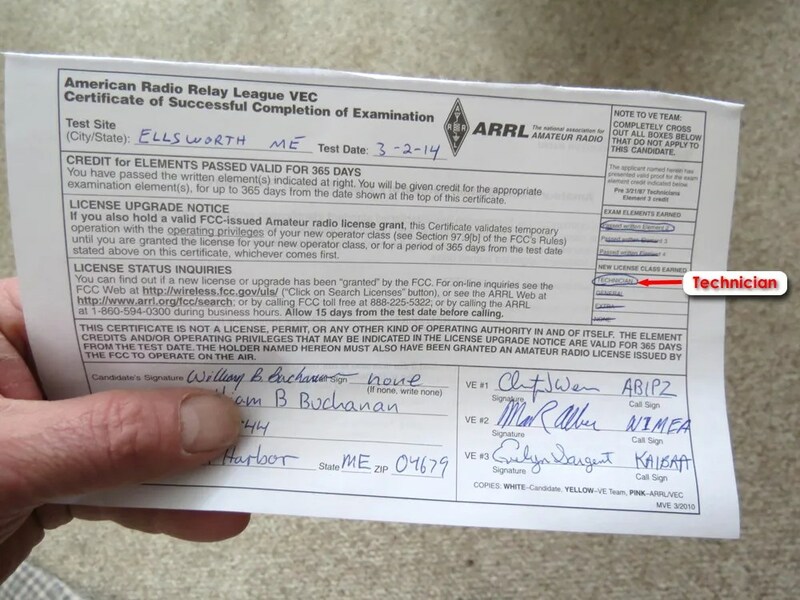 On March 2, 2014, I passed the exam to acquire my ham radio Technician’s License! Perfect score too! But, that doesn’t mean I know anything……..
Got my general class in 2001. I’m now not very active but maybe I’ll catch you on the air in the future. KG4WLP Stromburger. Is your black lab still with us. My Yellow is getting old and I mourn the day he goes. They change your life. Oh yes, Reuben is still here! He has really slowed down though. A few health issues have finally caught up with him due to losing one of his rear legs nearly 9 years ago. If you watch this video that I shot Easter Sunday, you will see “Old Reuben” at the very end of it. Congrats on your HAM ticket! I’ve used your MC stuff a couple times, most recently when I replaced the steering head bearings on my Wee with rollers. But back to HAM radio. I got my license in the mid 70’s and now hold a General class with vanity call sign K5FJR (my other bike wears this call sign Radio Operator license plate proudly.) Enjoy radio and motors, I think they go well together! BTW, I toasted my steering bearings on the CDR, miles and miles of washboard dirt roads!